Sports betting is a very popular type of gambling that involves predicting sports results and placing a wager on the outcome. The consolidated global sports betting market, both regulated and unregulated, is worth up to $3-trillion. Around 65 per cent of that figure is spent on football betting, with the Asian market the centre of sports gambling. 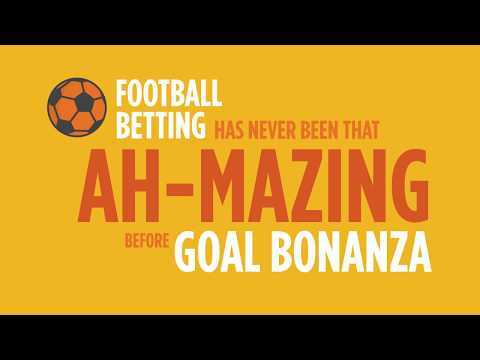 Goal Bonanza is a self-regulating, blockchain powered football betting platform based on ERC20 token standard. It offers fresh and new football betting experience by combining lottery like crowd betting on 10 possible football game final score outcomes where the crowd drives the potential returns, unlike traditional bookmakers and betting exchanges that offer unattractive odds and low returns. The bigger the crowd the bigger are the potential returns easily reaching six figures. In simple terms, imagine $100,000+ in returns on 1$ bet by successfully predicting the final score of a football game out of 10 possible outcomes. That is Goal Bonanza and much more. In addition to the unique game mechanics, Goal Bonanza revolutionary concept taps into basic desires and needs of users’ impulses which revolve around the idea of profits, status, achievement, competition and community collaboration. Goal Bonanza applies gamification mechanics to engage and motivate users to play in order to win rewards, badges and points, that are used to elevate their status and privileges, and to showcase their talents, expertise, and accomplishments. Build on ethereum platform and adopting ethereum as the underlying game currency, Goal Bonanza will significantly contribute to the crypto-community and the ethereum platform by increasing the demand for ethereum cryptocurrency, increase its value, and induce adoption in the global betting marketplace.